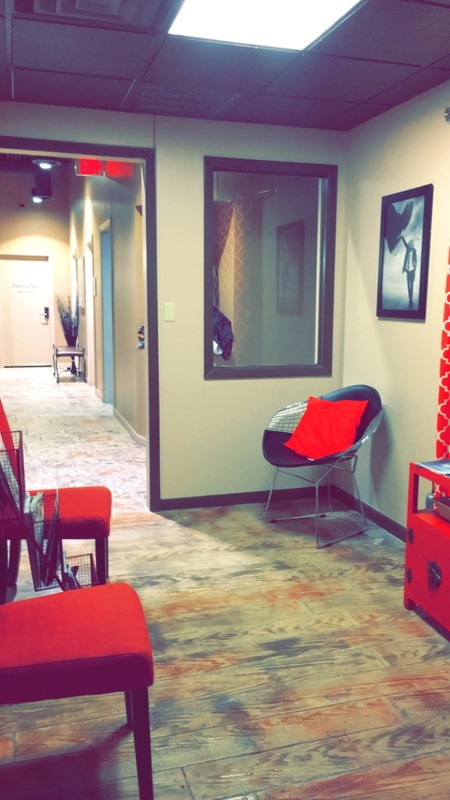 There is a salon booth for rent Grapevine with your name on it, and it is located at 3549 Grapevine Mills Parkway, in Grapevine. It is located at Salon & Spa Galleria, and if you would like to see this fantastic opportunity, call us at (817) 823-7105. We would absolutely love to show you around and introduce you to our staff. A salon booth for rent is the ideal business model for . . .
For talented professionals in the beauty industry, like you, and we are talking about hair stylists, nail specialist, massage therapists, and microblading experts. We have leases with them all and we would love to add you to our list of successes. Salon booths for rent are opportunities to be your own boss. Think about it! Literally within a matter of weeks, at Salon and Spa Galleria Grapevine TX, you can own your own mini beauty salon. Yes, you will be leasing the salon booth for rent, but you will be running your own business from that leased salon suite rental. It boils down to this: booth rental vs commission. When you work at a beauty shop owned by someone else, you work for commissions, which basically means you work for the bare minimum. But when you lease a salon booth from Salon & Spa Galleria, you work for yourself. You pocket the profits after expenses. You are the owner of your own beauty industry business, a small business person in charge of your own future. How does it work at Salon & Spa Galleria? It’s a pretty simple business model, quite frankly. You pay the salon booth rental prices (as low as $50 per week at some SAS locations) and we provide practically everything else you need. You are responsible for providing customers. You are responsible for providing business cards and working supplies, and you are responsible for providing whatever product you want to sell from your salon suite. We provide everything else you need to put a “open” sign on your salon booth rental. And yes, it can happen within weeks. Let’s say you come down to Salon & Spa Galleria Grapevine, you take the tour of salon suites Grapevine, and you speak to some of the beauty professionals who already lease from us. And let’s say you sign your lease on May 1st. You can literally be in business by the end of May, welcoming your own customers, and ringing up sales in your own cash box. So, literally speaking, from now, the time you are reading this article, you could be in business, for yourself, within three or four weeks. Take a look at the calendar. Count off one month and mark that date. That is the date when your business life changes for the better. Welcome to the Salon & Spa Galleria way! Pick up the phone and call us at (817) 823-7105. Come to our Salon & Spa Galleria Grapevine location loaded with questions. We want you completely satisfied when you sign that lease. We are locally owned and operated, which means you will always be able to find someone to help you with your problems and questions.